As Ariel's best friend, Flounder has to tag along with Ariel for most of her adventures, even if it is against his liking. What he lacks in courage however he more than makes up for it in loyalty to Ariel. 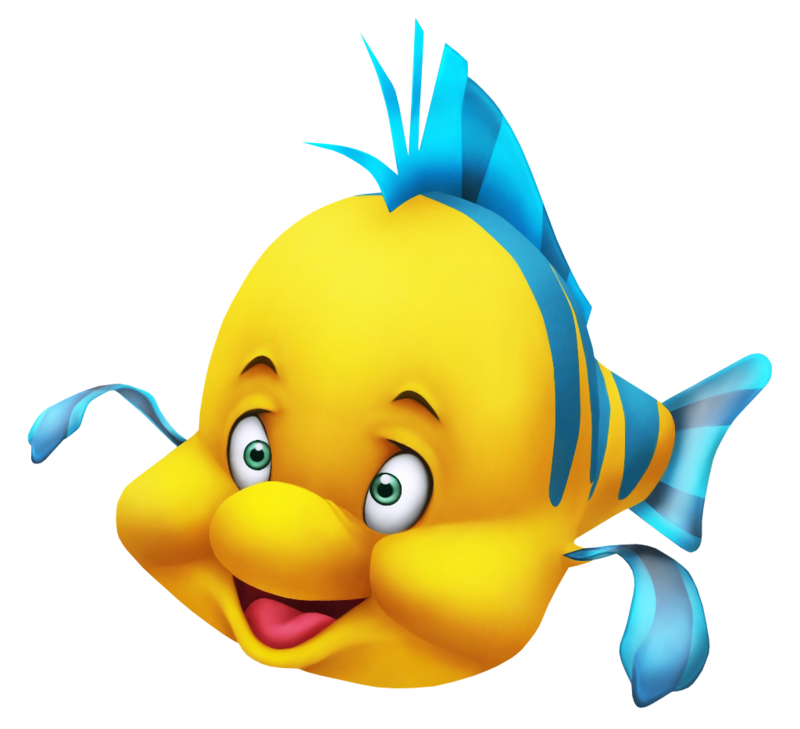 Flounder is not exactly brave, even occasionally referred to as a 'guppy', but his loyalty to his best friend Ariel is first rate. When Ariel is in depression, he suggests to Sora, Donald and Goofy that they should bring her a statue of Prince Eric to cheer her up. He stays near Ariel at all times, even during her time as a human, in order to help in any way he can.